BT Sport is a group of sports television channels in the United Kingdom and in Ireland, owned by BT Consumer, a division of BT Group, which launched on 1 August 2013. The channels are based at the former International Broadcast Centre at the Queen Elizabeth Olympic Park in London. BT Sport is available on the BT TV, Sky and Virgin Media television platforms in the UK, and also for Virgin Media Ireland in the Republic of Ireland. BT Sport holds exclusive live UK TV rights to 38 Barclays Premier League matches per season as well as exclusive rights to the UEFA Champions League, UEFA Europa League, National League, Serie A, the Bundesliga, Ligue 1, the Primeira Liga, the FA Community Shield, the FA Trophy, MotoGP and the Aviva Premiership. BT Sport also holds shared rights to the FA Cup with the BBC, the Scottish Professional Football League with Sky Sports and BBC Alba, and the Rugby Champions Cup with Sky Sports. On 2 May 2013, BT Sport 1 and 2 were added to the BT TV EPG, followed by Sky the next day along with an on-screen message that the channel was coming soon. On Sky, the channels replaced BT´s placeholders, Sailing 1 and 2. The BT-owned terrestrial feeds of Sky Sports 1 and 2, which were also used for Top Up TV, were dropped on 1 July in favour of BT Sport 1 and 2. The terrestrial feeds were only available to BT TV subscribers in non-BT Infinity enabled areas. These were removed from the platform in 2015. BT signed a wholesale deal with Virgin Media on 15 August 2013 bringing the channels free of charge to customers in the TV XL package. In Ireland BT Sport is bundled with Setanta Sports subscriptions. An interactive service, BT Sport Extra, launched in September 2014, broadcasting additional content at selected times. One video stream was available at launch which expanded to seven in August 2015. BT Sport Extra can be accessed directly from the EPG on BT TV and from the red button on Sky and Virgin Media. On 1 August 2015, BT launched three new channels - BT Sport Europe, a dedicated channel for its coverage of European football including the UEFA Champions League and Europa League, BT Sport Showcase, a free-to-air channel which will show a number of sporting events unencrypted via Freeview, and BT Sport Ultra HD, the UK´s first 4K television channel which will broadcast a number of events in ultra-high-definition exclusively on BT TV. BT Sport 1 is currently offered for free for BT´s broadband subscribers as ´BT Sport Lite´, who may elect to view the channels via Sky, whether or not they have a Sky subscription, by having their viewing card activated. Customers who wish to view the remaining channels can subscribe to the ´BT Sport Pack´ for £5 per month. BT also provide broadband subscribers access to the channels via the BT Sport online player and mobile app. BT Sport currently has the rights to show 38 Premier League matches live a season with their packages include Saturday Lunchtime kick-offs and Mid-week fixtures. The rights to the Premier League is shared with Sky Sports that have 116 live games and BBC who have highlights on Match of the Day. BT Sport have exclusive live coverage of the UEFA Champions League and UEFA Europa League with a launch of a new channel called BT Sport Europe becoming the new home to both competitions. The highlights of the Champions League and Europa League will be shown on ITV. BT have rights to the SPFL with 30 live games per season. Stephen Craigan and Mark Guidi complete the Scottish football coverage line-up. The rights is shared with Sky Sports, who also have 30 live games per season with highlights of the SPFL on BBC Scotland. FA Cup matches are also shown on BT Sport with 25 live games including one semi-final. The F.A. Cup BT Sport team of presenters and pundits is similar to the Premier League. The rights are shared with BBC, who show 16 live matches with the F.A. Cup Final shown live on both channels. BT Sport also have exclusive rights to show the National League with 30 live games per season with the Play-Offs also shown on BT Sport. BT Sport also show live matches from Italy´s Serie A, Germany´s Bundesliga, France´s Ligue One and Australia´s A-League. 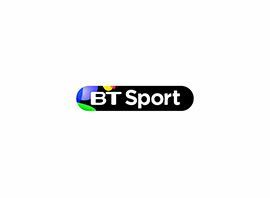 BT Sport has exclusive live rights to the Aviva Premiership, and shares live coverage of the Rugby Champions Cup with Sky Sports. The original Aviva Premiership coverage was until the 2016/17 season which seen BT Sport broadcast up to 69 games per season. In January 2013, BT Sport signed a deal with the WTA to show 21 live tournaments from the women´s tennis tour. The coverage can consist of up to 800 live hours of coverage every year until 2016, each season ending with the TEB BNP Paribas WTA Championships. Coverage is presented by Lynsey Hipgrave with Martina Navratilova. Former Wimbledon champion Marion Bartoli, Anne Keothavong, David Mercer, Nick Mullins, Sam Smith and Alastair Eykyn are the commentators. In August 2015, it was announced that BT Sport had claimed the rights for Australia´s home matches for five years starting in the Australian 2016-17 season. This means that BT will show the Ashes Clash between England and Australia in 2017-18 with the deal also including Big Bash League fixtures as well as the Women´s Ashes and Women´s T20 Big Bash League. BT Sport has rights to numerous British, European, American and global motorsport series both in live and highlights form. MotoGP is BT Sport´s flagship motorsports event and in addition to the main MotoGP event, BT shows the Moto2, Moto3, Red Bull Rookies and CEV Repsol championships. Other live series include the World Rally Championship, Deutsche Tourenwagen Masters and V8 Supercars where the world feed is taken directly from the host broadcaster. For World Series by Renault, BT Sport take world feed images but produce their own commentary, usually from Ben Evans and a journalist or racing driver. Highlights packages are also shown on BT Sport for series such as BRDC Formula 4 Championship, FIA European Formula Three Championship and the British Formula Three Championship. BT Sport shows extensive coverage of American sports, including Major League Baseball, NBA, American College Sports, Major League Lacrosse, and X Games. Also ESPN-produced American sports magazines, such as College Gameday and Baseball Tonight, are shown, often live. The majority of American sports coverage is broadcast on BT Sport ESPN apart from the NBA which is usually shown on one of the main channels.